For a nice looking bag, no matter how plain the design is, it will uplift your look! and sometimes less is more! I can't believe I am saying this! 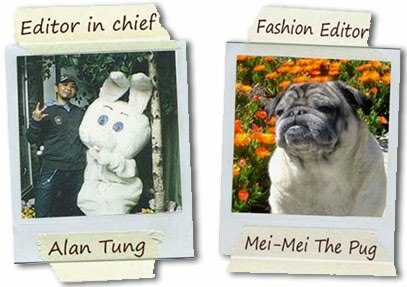 as you all may knwo I always believe in "More is More" like Christian Lacroix's Designs! 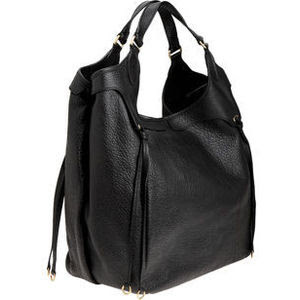 haha but this Givenchy Sacca Grained Yoke Sac is simple but has tons of personality. 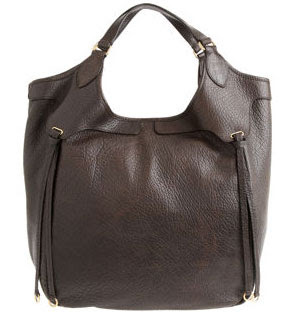 I saw this bag at Barneys New York and it is a perfectly designed structured tote/hobo. It is made of textured leather adding a small dose of rugged looking. The tassel fringe brings out the femininity. For a bag that you carrying around all the time, I prefer a magnetic snap closure bag, it’s easy to access. Over all this bag is sleek and stylish! 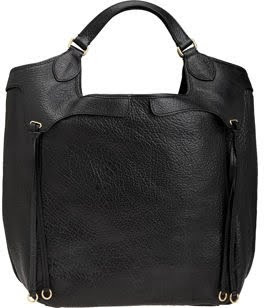 If you are looking for a simplistic chic with a downtown look, this is a perfect must have bag for you! * Size: 13.5" x 15" x 4"
Untill next time, go shopping! 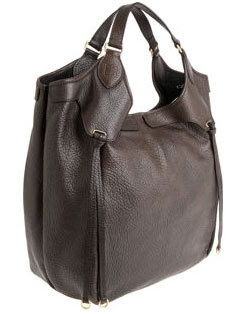 find some fabulous bags for this fall/winter !